The fabled Dixey Bar, named after a Civil War ship, is truly a magical place to find bull reds. On the eastern side of the mouth of Mobile Bay lays the fabled Dixey Bar. The naturally-formed sandbar runs along the eastern side of the Mobile ship channel for about three miles due south from the western tip of the Fort Morgan peninsula to just about even with the Sand Island lighthouse. The northern end of the bar is about two miles wide and it gently tapers down to a few hundred yards wide as it plays out on the southern end—again about even with the lighthouse. Its depth varies from five to 10 feet on the actual bar. Both the eastern and western drop-offs are pretty dramatic, dropping from the bar to a depth of 12 feet and continuing to the ship channel on the west side and the open Gulf on the east side. So, what’s so special about a huge pile of sand under the water? Well, that’s where the “fabled” part comes in. 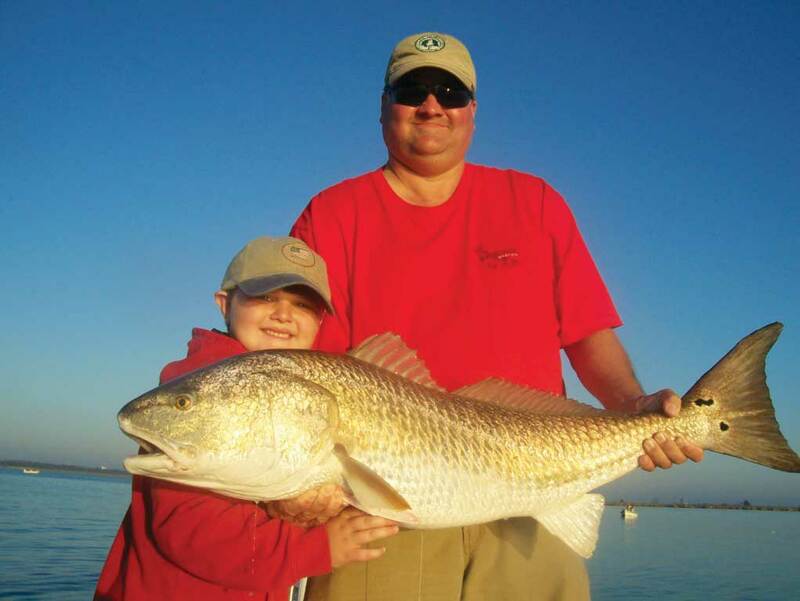 Ask someone who has even a little experience with inshore game fishing along the Gulf Coast about where to go for world-class bull red fishing. Louisiana venues will be mentioned, of course, but more often than not Dixey Bar will also be praised. 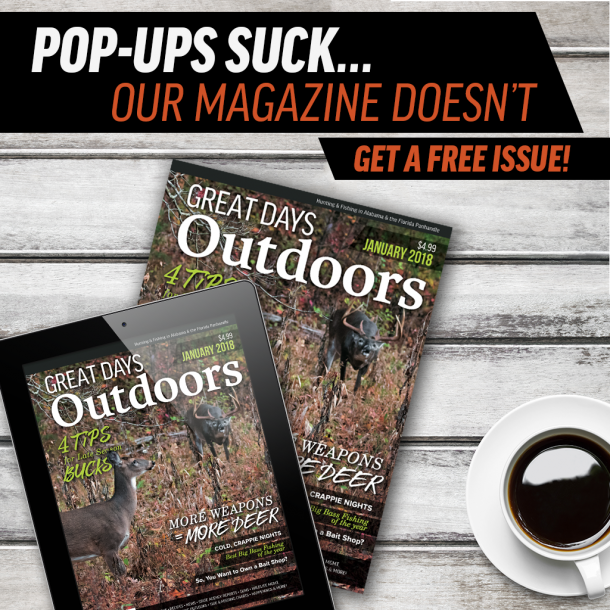 Numerous outdoor publications as well as local, regional and national outdoor television shows have featured the incredible fishing offered there. Dixey bar consistently produces huge numbers of bull redfish to the point that it has literally become world-renowned. It has been my pleasure over the years to be a part of creating many remarkable memories for my clients on Dixey Bar. Here are a few of the techniques that I use to consistently catch these beautiful fish. The only period that is not productive for me on the bar is during the hottest months of the year. As these sexually mature reds begin their spawn, they gather in huge schools and move to the mouths of the bays and points farther offshore. The spawning begins in the hottest periods—August through September—and last for six to eight weeks. I believe the reason I don’t do well is that it gets hotter and the fish just aren’t there in big numbers. Moreover, the fish that home there wreak havoc on baits and tackle. The reds that pretty much own the bar for about 10 months leave, which gives way to toothy species like sharks, bluefish, and mackerel. Other than this period, however, you can usually count on some good action from the bull reds. Even when the fishing is at its best, weather can be a problem. A few days of strong southeast winds send rollers in from the Gulf across the bar. As these rollers reach the shallow water of Dixey Bar, they stand up and begin breaking. The effect is magnified when the tide falls hard and this dynamic can be worse than uncomfortable. It’s downright dangerous. I don’t even think about going out there if this situation is occurring. No fish is worth putting me or my crew in jeopardy. On the subject of tides, I prefer a smoking falling tide. As the water falls out of Mobile Bay, it moves roughly due south along the western edge of the bar for a couple hundred yards. At that point, because of the eddy effect created by the Fort Morgan peninsula, it begins to work toward the southeast. The area right along the beach doesn’t have the current that occurs farther out on the bar, so I spend most of my time a couple of hundred yards off of the beach to two or three miles out on the bar. The incoming tide does work well, too, so I don’t give up on it just because the tide is not falling. In this situation, the tide moves from east to west all along the bar and bunches up better, thus creating more current close in. The slack tide can be a little slow, but can still work. I seem to find that as the tides slow; the fish roam the bar more in a foraging mode rather than waiting for a non-existent current to bring food to them. Here I have to use the trolling motor and prefer to use artificial bait to cover ground and locate the fish. As mentioned, the bull reds are the “Kings of the Jungle” on Dixey bar, so they pretty much can and will eat anything that is swept across the bar. The key is finding them, but it does help to have something tempting on for them when you do run across them. Finfish like croakers, spots, pogies, finger mullet, pinfish or large bull minnows all work equally as well. I hook all of the baits mentioned through the top lip only. I use a Carolina rig for the live baits. The weight is a ½ oz. egg sinker held about two feet above a #4 Kahle hook by a small split shot. I don’t use leader, but you can; it just requires two extra unnecessary knots. The reds aren’t toothy, so some good quality 12- to 14-pound mono is all you’ll need to keep them on. The #4 Kahle may seem small, but l I like it as it lets the bait behave more naturally. My boat has landed thousands of bull reds over the years and I have never gut- hooked a red with this style hook. Also, I have never had a hook straighten out, including one landing an 80-pound tarpon hooked on Dixey Bar. Artificial bait works very well too, and even if I do have live baits out I still have at least two people throwing arties. Lead-headed jigs have produced the best for me as far as the fake stuff with 4” GULP swimming minnows in either chartreuse or pearl white being all that I use now. The jigheads are 3/8 or ½ oz. Yep, that’s right, it ain’t finesse fishing! You can leave the little stuff in the tackle box because it’s all about how far you cast. My advice to the charters is this: Whoever casts the farthest is going to catch the most fish, so rare back and let ‘em fly! I’ve caught plenty of bull reds on ¾ oz. gold Johnson spoons, too. The reds probably think they are crabs. It’s also pretty cool to see a 20- to 30-pound red crash a top-water plug. I throw them a little and do catch fish, but have problems with lures right out of the box getting caught too far down in the redfish’s throat. If I’m going to top-water fish the bar, I take all of the trebles off of the plugs and replace them with a single hook in the rear position. This allows me to free the fish much easier if he does ingest it too deep. You may have picked on the underlying theme here—the key to catching bull reds on Dixey Bar is to locate them. Typically, what I do when I reach the bar is determine which way I’m going to drift. As mentioned, if the tide is falling that will be roughly west to east, and if it’s coming in I will obviously go the opposite direction. As I approach the bar, I start looking for signs of feeding fish. Birds diving are very good indicators. The reds also create slicks when they are in a feeding frenzy, too. 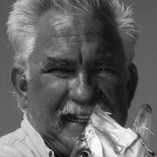 If there are no obvious indications of feeding fish, I locate the bar on my bottom machine and shut down the big engine, which allows my boat to begin drifting freely with the current. We then bait up the drift lines and cast out behind the drift. A very important tip here is to let out plenty of line. 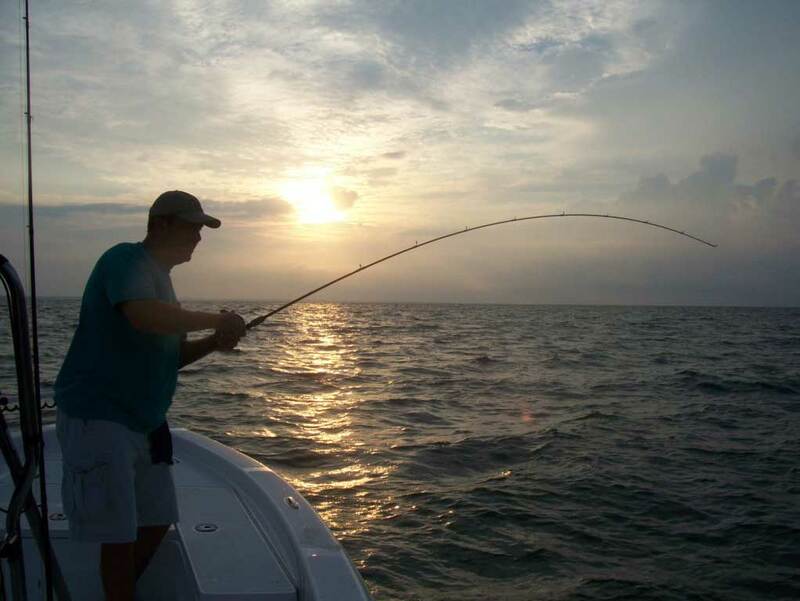 You don’t want the bait to come bouncing along right behind the boat. I don’t mind people holding the drift lines, but they work just as well in the rod holders, so oftentimes I just leave them there. Then I get a couple of the crew to start casting. I like to cast perpendicular to the direction of the drift. This helps cover a larger cross-section of water as the drift lines are going to cover anything on line with the drift. Usually, if you get one fish on you can get multiple hookups. If someone hooks one on the casting rods, I have the other cast in that general direction. Most of the time, they will hook up, too. This also happens with drift lines. The real fun on Dixey Bar is to have three or four reds on at the same time. Everyone is running around the boat, ducking and dodging while trying not to lose their fish. I call this the “Dixey Bar Shuffle.” Watching it being done is some of the most fun moments that I’ve had in fishing! After I drift across the bar, I run back to start another drift. Here is another tip: Run way wide of your previous drift. The last thing you’ll want to do is scatter the group of fish that you have just located. My Humminbird 1198cSi has a detailed mapping page with very accurate tracking. I use that to tell me where I have just run and avoided that track on the run back. Even though I can mark fish locations on the GPS, I still find myself doing it the old-fashioned way, by using landmarks. Once I have located a group of reds, I can usually count on them being in the same general area for at least a few drifts if I don’t screw it up myself or get any help screwing it up. My spell-check was going nuts until I added the name “Dixey” to my computer’s dictionary. The bar is named after a Civil War-era ship called “The Dixey,” which sunk in a storm on the bar. Alabama allows one redfish over 26” to be taken, but I don’t’ allow any to be killed. These fish are 10 to 30 years old and provide the stock of redfish that we enjoy catching throughout the Mobile Bay system. Many of the people that I have talked to who have to keep one will never do it again. They are very hard to clean and the meat yielded is of mediocre food quality at best. I also make great efforts to handle the fish properly while they are being released. I wet the deck; don’t use a net—certainly not a gaff—and handle the fish as little as possible. If we want a picture, I make sure the camera is ready and the subjects are holding their fish firmly so as not to drop them. After the photo, I ease the fish back into the water and make sure that it can swim on its own before letting it go. Sometimes you have to “swim” the tail to get the fish going—they will “kick” when they are ready. Dixey Bar is truly a magical place. I hope that if you decide to try it out, these tips help you have as much fun there as I do. Hey Capt. Bobby. Thanks for an interesting read. I felt like I was there while reading your article. Where do your private charters dock out of if we were interested in fishing with you?